Google has added balloon and kite imagery to Google Earth to complement its satellite and aerial images. 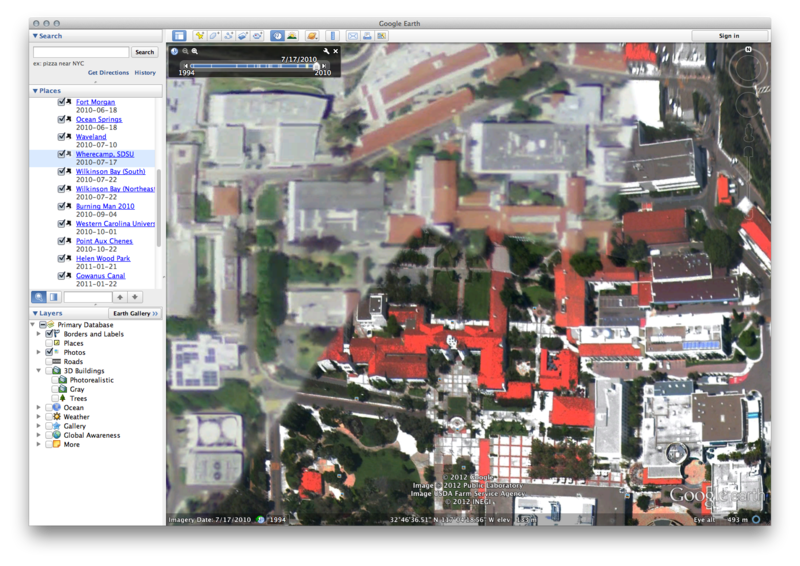 The high-resolution imagery comes from The Public Laboratory for Open Technology and Science, which shared the results from its grass-roots mapping work with Google. There are more than 40 locations with balloon and kite imagery in Google Earth. They were taken between 2009 and 2011, and the photos have much livelier colors and details than the satellite or aerial imagery available. To spare you searching for the location with the balloon and kite imagery, Google has put together a KML file that you can download and open with Google Earth on your computer. The layer maps all the locations where the new imagery is available and you can fly over to each of them to check it out. 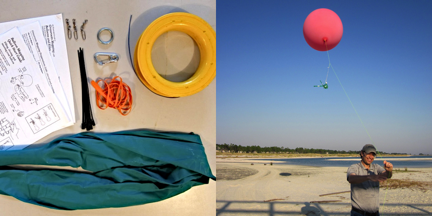 As part of its partnership with Google, The Public Laboratory for Open Technology and Science developed an open source balloon mapping toolkit that allows enthusiasts to take photos of the ground around them. All you need is a digital camera (it can be an inexpensive point and shoot, or your DSLR), and what amounts to around $100 to $200 of other parts and tools you might need. This includes a camera housing, free mapmaking software, and, of course, balloons, helium and line. Once your photos are ready, you can use the web-based tool called MapKnitter for aligning the photos into a georeferenced image that can be used in Google Earth and other digital mapping tools.